Goal: Do packet sized testing with a hunt script using multiple stations. 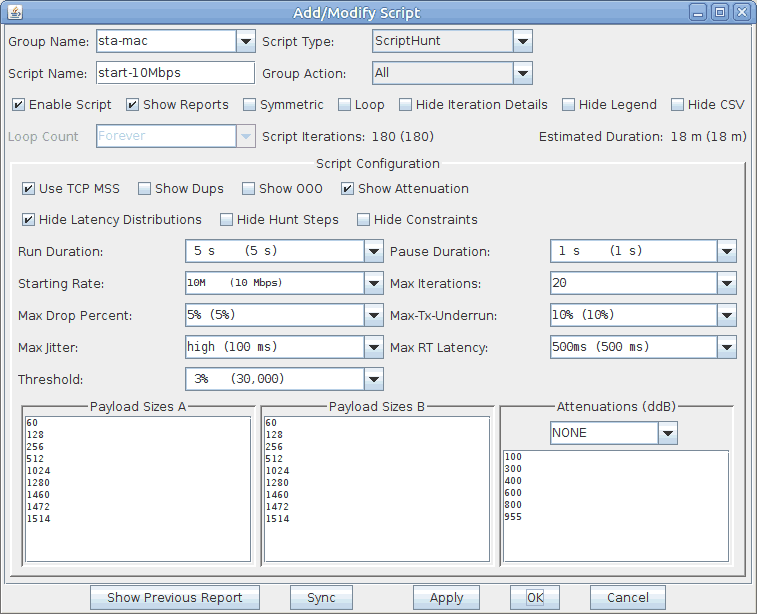 We will manipulate the parameters of 10 Layer 3 connections using a single hunt script. The WiFi stations will change packet size as a group by being part of a Test Group. 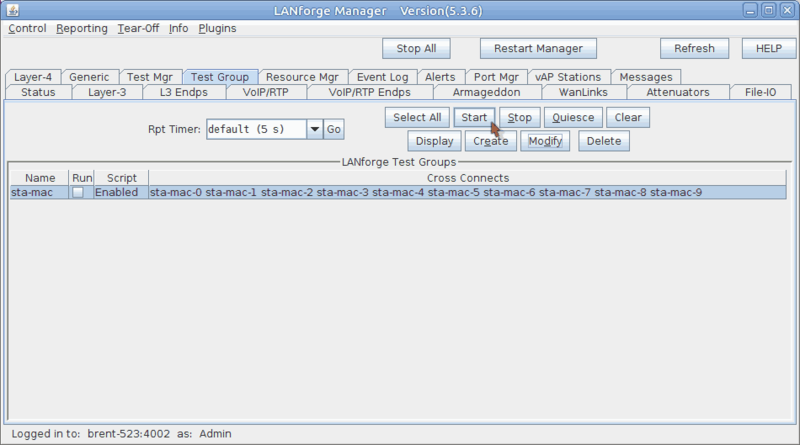 In this scenario, we will create traffic to different upstream destinations using MAC VLANs, and the AP wired up to eth1 of our LANforge machine. 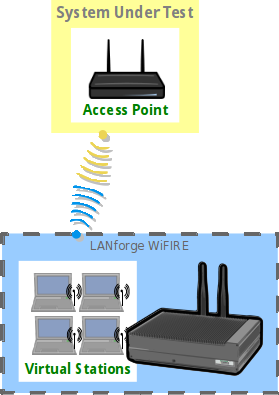 Requires a CT-520 for only stations, or a CT-523 if you also want a WiFi monitor station. 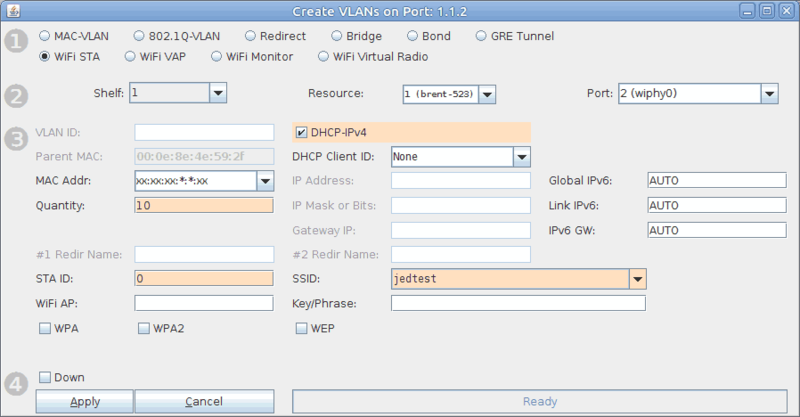 Create 10 virtual stations: in the Port Mgr tab, highlight radio wiphy0 and click the Create button. In this scenario, we are using SSID jedtest. You should see stations sta0 - sta9. (Simple Method) This method only requires setting the IP on eth1. 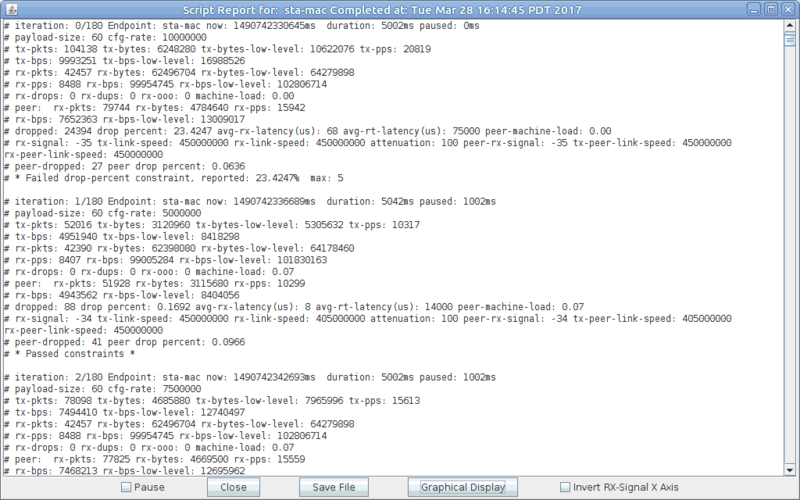 In this scenario, our upstream network is 10.26.1.0/24. In the Port Mgr tab, highlight eth1 and click Modify. 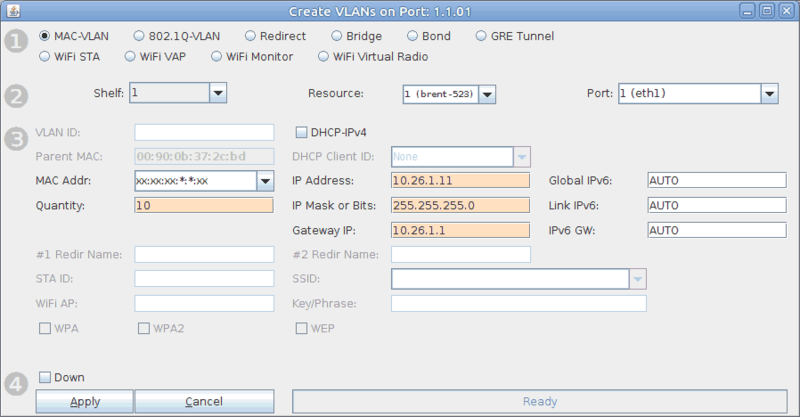 (Optional Advanced Method) Create ten MAC VLANs on the eth1. In this scenario, our upstream network is 10.26.1.0/24. In the Port Mgr tab, highlight eth1 and click Create. 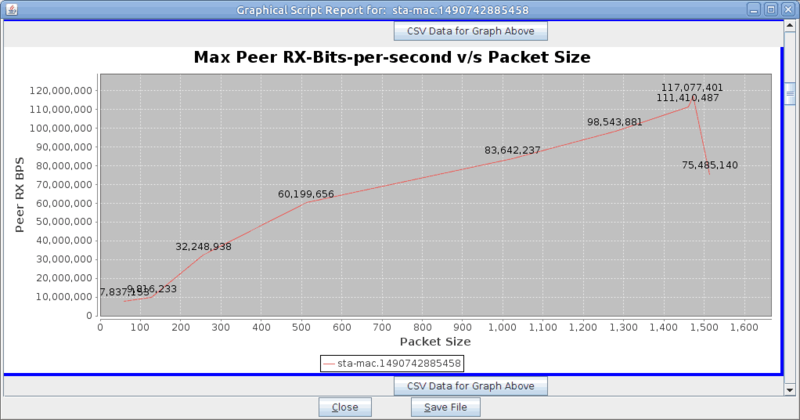 You should see 10 MAC VLANs, eth1#0 - eth1#9. 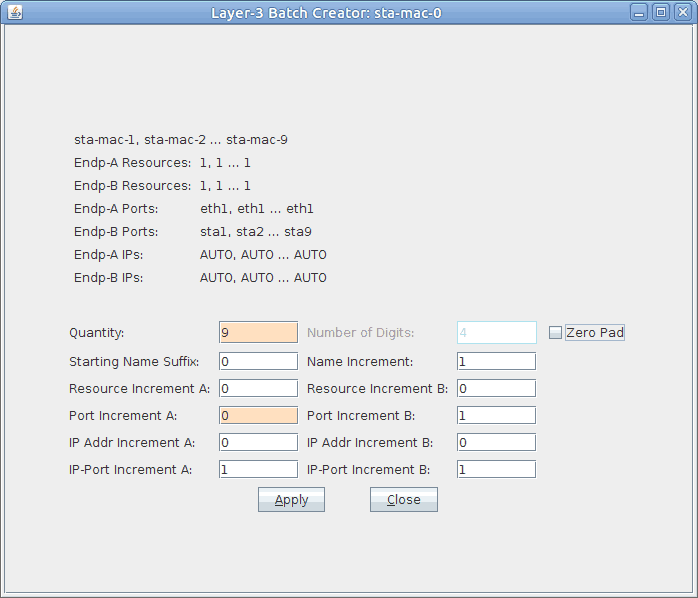 Create ten Layer-3 cross connects. We will start at 10Mbps transmit on them as a reasonable start. In general hunt scripts start low and try to work their way higher. When using more stations, set a lower starting transmit rate. In the Layer-3 tab, click Create. 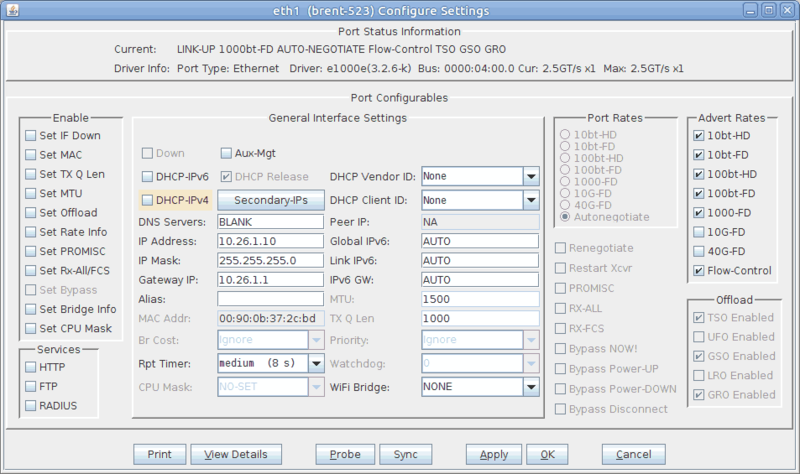 Endpoint-A: eth1 (if using the advanced MAC-VLAN method, set this to eth1#0. Click Apply. Leave the window open. Create nine more stations. Click Batch-Create. If only eth1 is used for upstream traffic, set Port Increment A to 0. Otherwise leave it at 1. Click Apply and close window. Close the Create/Modify Cross Connect window. You will see ten Layer-3 connections in the Layer-3 tab. 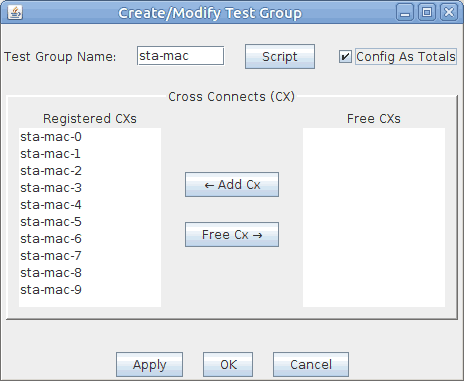 Create a Test Group. In the Test Group tab, click Create. 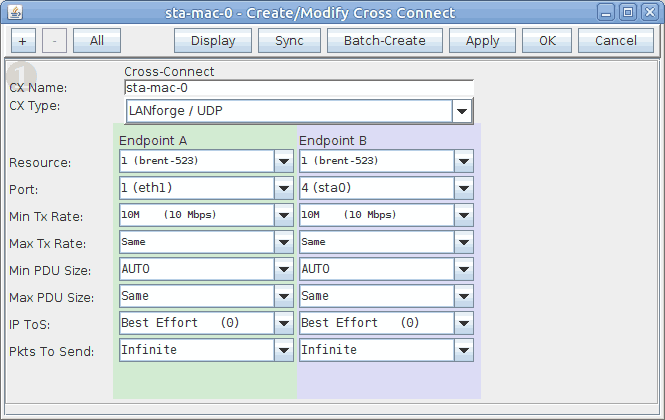 Highlight all the sta-mac-x connections and click ← Add Cx. 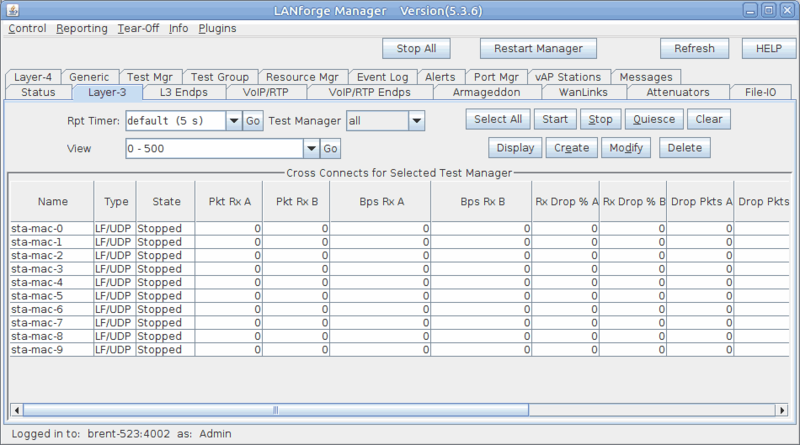 Configure the Test Group Script. Close the Create Test Group window. Start the test. Highlight the test group and click Start. You will see the script report window. When the test is finished, click Graphical Report to see graphs.